The Contam Med features a grooved surface with an indent along the middle – this can be used for topical treatments and lubricants, providing an easy way of applying your medicine that will keep it in place all day. This is ideal for vaginal atrophy and other symptoms of the menopause. 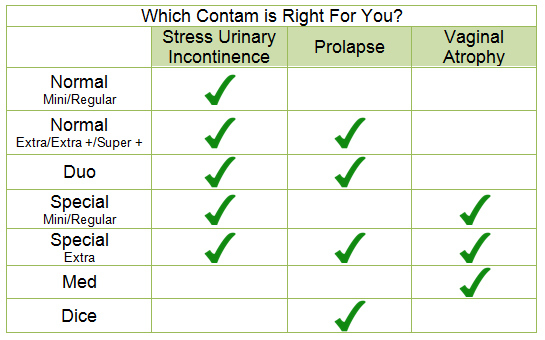 The classic Contam tampon design means it can also be used to support the uterus in cases of prolapse.